Who doesn’t like to decorate their houses with attractive interiors? We all do; isn’t it? And for that to be accomplished well, the house need not be a luxury pad always; our home is always the best for us no matter what its size is! When the house is built with love and compassion of the members, it automatically turns into a beautiful abode to live in; the interior or exterior designing just act as the “icing on the cake” to our already beautiful house. But that doesn’t mean the interiors must not be taken care of! We all should do the interiors in a way that it looks pretty and also stays longer; the durability does matter! Apart from all other types of interior designing or home decor ideas, the wallpapers or the wall designing grabs all our attention at a higher level. As the walls comprise the entire household and are visibly more surfacing, it needs a type of décor which is subtle yet engaging. The trend of wall arts, wallpapers, DIY designs on the walls has always existed in case of wall decors. 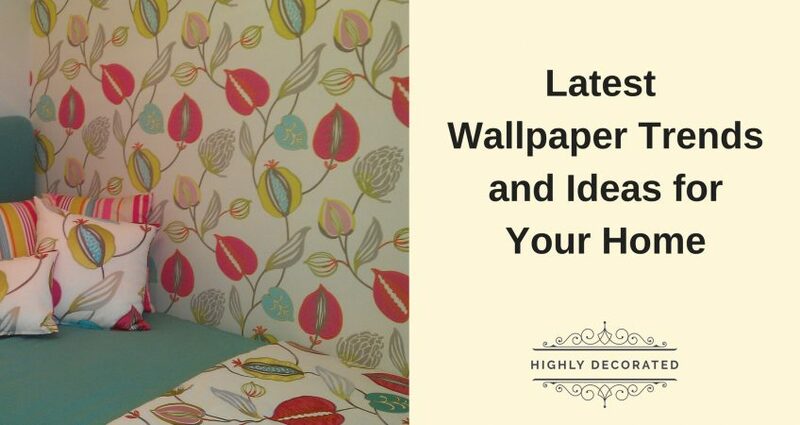 But today, we are going to discuss the latest high end wallpapers trends that have all the qualities to choose them for your house’s interiors. When you cannot put marbles on the wall, it’s better to go with marbled effect wallpapers for bringing in the charm of marbles in your wall. Normally people don’t put wall marbles because it looks weird but with the marbled wallpaper, it all looks presentable and does not look weird as well. The versatile and monochrome colours make it a perfect fit for the walls of your wet room mainly. This is one of the most loved trends of the season in terms of wallpapers which has both modern improvisations and a touch of traditional values. The lincrusta wallpapers are prepared from wood flour and linseed oil paste and then steel rollers are used to roll it to give your walls a perfect wallpaper finishing. They are highly durable and also shells out a visibly rich outlook. If you love geometric shapes then this one is the most fitting choice for you. These type of wallpapers contains a contemporary look with its graphics printed large scaled works. As these wallpaper carry an aesthetic approach, they go well with houses having traditional furnaces or a period house. The floral patterns have always been the favourite of us all and when we have the option of having the floral imprints on the walls of our house, why should we go for it! The bold, abstract, rich coloured, patterned floral wallpapers are a treat to the eyes of the dwellers and the visitors of the house as well. The era we are living in is all about digital techniques taking over the age-old traditional themes; then why not the same in case of wallpapers for our house? Well, for that purpose, the digital image wallpapers are built in such a way that they look ravishing on your house with its perfectly radiating digital view. It goes well with a spacious house but you can also put it in limited spaces but be picky to choose the designs and theme of the digital wallpapers to bring that extraordinary look. How about having a painting-like feature on your living room wall that feels like an actual painting made out of watercolours? It looks good, isn’t it? The watercolour themed wallpapers shell out a painting-like vibe in the walls with its surreal accuracy of the watercolour theme. The designs available are vast and you can customize them according to your choice and taste depending on the interiors of your house. Textures are a kind of design that is loved in every form and in every home décor trend, be it on floors or on the walls. The patterns, the designs, the colours are all very vibrant and rich in the textured wallpapers available for our houses. They look wonderful in the living rooms mostly but they can slay on the other walls of the house as well. 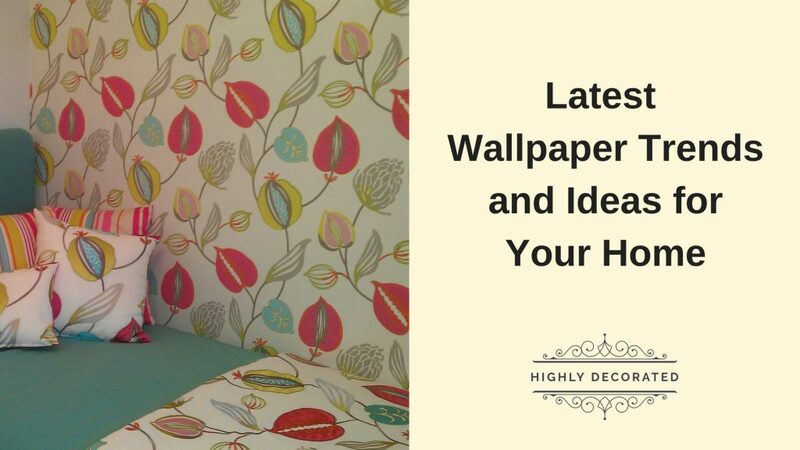 The wallpaper trends that we look for, changes dramatically according to the design and décor of your house. Some wallpapers look good in one type of house while that would not look good in some other kind. So it’s better to go with the home décor experts to discuss the details of what kind of look you want in the walls and what wallpapers would meet your needs the best.